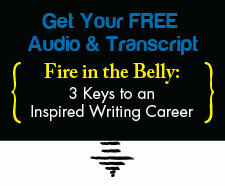 The #1 Occupational Hazard for Writers | Writing & Book Coach | Marla Beck, M.F.A. For writers and aspiring writers, the state of struggle is the top occupational hazard in the business. ✔ Perhaps they’ve got a gnaw in their gut, or a solid vision for their talent… but no clue how to chart a writing and publishing path that feels good and truly fits. Listen up. If you know you are lacking writing passion, systems or focus…you need to fix these problems fast. These are not the kind of struggles you want to wrestle with for long periods of time. Why? Because writing struggles may be common and perhaps even expected… but your writing struggles are costing you money, your vitality and your happiness. If you’re mired in struggle, critical things like tenacity, creative fire and focus remain out-of-reach. If you’re stuck spinning your wheels (for weeks, months or even years)… you aren’t even on a workable path that’s headed towards the writing success you suspect you’re capable of. If you (secretly or not-so-secretly) feel that you are a “born writer,” someone who is meant to write and you’re not… and you’ve been struggling for a year or more to find time, path and confidence you need to get yourself started, then you’re blocking yourself from ever becoming the truest expression of the man or woman you are meant to be. No matter how many “pro tips for writers” Jenny tried to implement, Jenny struggled. She had a file cabinet full of critiqued-but-unfinished essays, and mixed in the files were a few freelance pitches she’d put down and never picked up. Jenny went to a regular writing group, and she attended readings given by her close friend and other authors, writers who were unblocked and moving forward with their dreams. When we met, Jenny struggled with comparing herself to others, choosing writing goals and finding time and headspace and focus so she could write consistently and happily. She was incredibly hard on herself, and one day, Jenny confessed she doubted she was even supposed to be a writer. Hiring me to coach her was Jenny’s last-ditch effort to take her writing seriously. Together, we simplified her writing habits, streamlined her goals and pruned her time and schedule. Most importantly? We discovered where Jenny was blocking her own success – the particular ways and times she’d get in her own way. We re-patterned Jenny’s thinking around success, failure and everything in between. We prepped her to face inevitable setbacks and writing challenges. We refocused Jenny on managing her writing career and progress, rather than her fear. With my help, in 2 months’ time Jenny had regained her passion for writing, and she was joyfully recording fresh ideas for new projects. Jenny created a writing habit she loved, and together we honed her big vision and a single (sizable) publishing goal. She was equipped with clarity, work habits and strategy, but Jenny was also ready to pursue her writing goals from the inside. Together we’d begun revamping her “inner game” of writing and I gave her a simple, personalized set of steps and goals to see her work in at least one of her dream magazines. In 4 months’ time, Jenny had reworked and polished four essays. She sent them out, and among the rejection letters, one day she received an enthusiastic “YES” for her work – an acceptance letter for a magazine she’d targeted. It wasn’t yet a “dream” publication… but it was decidedly close. In 6 months’ time, Jenny walked away with new writing and self-management habits she’ll use for life. Her publishing successes (more had followed) had locked in her clarity, her confidence and her career trajectory. Jenny was free – free from struggle, and free from doubt that she was, indeed, meant to be a happy, working writer. Jenny no longer struggles to stay focused on one piece of writing until it’s done. She doesn’t hesitate (as much!) when it’s time to send out work. Jenny knows what to do, inside and out, when rejections come. Best of all, Jenny knows how to set big writing goals and coach herself to achieve them. In a coaching call, I once asked Jenny to estimate the number of hours she used to spend each week, spinning her wheels or feasting on anxiety. Ten hours of anxious, wasted time. Ten hours of negative, stuck thinking. Ten hours — that’s forty hours every single month — of time, energy and passion directed away from writing, that passion and pursuit that brings terrific joy and matters so much. Grab your calendar, and look at the past four weeks. Write down how many hours you spent productively writing, pitching or submitting your own work. Think about those hours lost in struggle. How badly did they strain your health? Your relationships? Your pocketbook? Your happiness? It’s not easy or comfortable to look at this stuff, I know — but seeing the impact of your writing blocks on your life is the very first step to facing them… and solving them. Be honest with yourself today, and look at what your writing struggles are costing you in terms of money, bylines, career opportunities and joy. I am here to help you break free more quickly – and more happily, than you ever thought possible.